"One picture still worth ten thousand words." 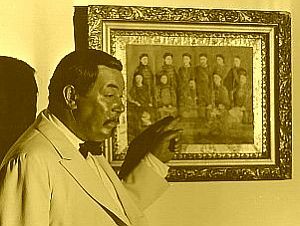 You have now entered, dear visitor, the NEW Gallery of our humble House on Punchbowl Hill, the Charlie Chan Family Home. As we add material from our collection, we will only be presenting original material from our physical collection as well as that which may be contributed by others from their own personal collections. This will be an ongoing endeavor as everything is brought into our Gallery, so your kind patience is requested as this process proceeds one film at a time.